How often have you forgotten an appointment? Perhaps you booked a hair cut last month and forgot to note down the time and date of your next appointment? Of course it’s not just hairdressing appointments you can miss because of this simple mistake. Or perhaps you yourself are a business owner who has been left waiting for a client who just never showed up? That’s valuable time that you could have been seeing to another client. Don’t worry. It happens to the best of us. And we know it happens a lot. Not only is it frustrating for your clients who miss the appointments (imagine how silly they must feel once they realise? ), but it costs you and your business time and money. At Kaizen, we understand how annoying this is. We hate to see our clients lose revenue. Which is why we offer bespoke appointment card printing, to ensure that your customers remember, and more importantly – attend - their appointments! Our appointment cards are printed to the same high standards as our business and loyalty cards. Printed at 85x55mm on 350gsm uncoated card stock, our appointment cards are ideal for helping your clients keep track of when they are next seeing you. The type of card stock we use for our appointment cards makes it easy to write or stamp the time and date of the next appointment – so your clients will know exactly when they are next in. Appointment cards are the perfect instrument for a large number of businesses including: - hairdressers, beauty salons, dental surgeries, veterinary practices, and dog groomers, to name but a few. Any business which offers appointments should consider handing out appointment cards to their clients. Their 85x55mm size makes them easy to store away for safe keeping. They are also pretty durable. That and the fact they are small enough to be kept in a purse or wallet make them the perfect solution of forgetful customers! We at Kaizen know how expensive it can be to run your own business, which is why many of our products are able to be printed in bulk, which saves you money in the long run! Our appointment cards are one of many products that we are able to do this with. With our appointment card printing prices starting at just £20 for 100 cards, you can have as many, or as little as you like, or need. We even give you the option to have your cards printed double sided, so you can make the most of that extra space with a bright marketing design. 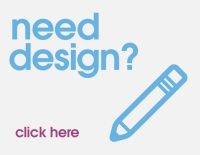 If you have any questions or want to get a quote for your design, don’t hesitate to get in contact with a member of our expert customer service team. They know their stuff and are always happy to help. Their years of experience can help you make the most out of your appointment cards. Contact us now on 02890022474, or drop us an email.